Some maps are unplayable now due to this. The hooks are miles apart. I barely had an issue with hooks before this update whereas now I feel like I'm getting shafted quite a lot. Some spawn so far apart (without offerings) that it's impossible to get the survivor to another hook from one location. So you have one hook you can make it to, and once that is gone any survivors downed in that area now can not be hooked. Even more fun when the hatch spawns in that area. I've never seen so many survivors wiggle free, either playing as killer or survivor. You can't use the excuse "be careful where you hook to not create a deadzone" when you physically can't make it to another hook. More importantly one perk in the game makes this much, much worse - Decisive Strike. The hooks are often now so far apart that it's extremely easy to hit the 35%. I've never seen so many non-obsession DS. Why would you do this? you say you want to nerf DS, so why on earth would you mess with the hooks BEFORE changing DS? why? it makes no sense. You've just buffed the hell out of that perk. You either need to nerf DS immediately or change the hooks back. This new system has a lot of flaws. I dread to think what it would be like when survivors stack offerings. Survivors complained that wiggling wasn't worth it and BHVR listened. When did this happen? Feels like I noticed this too. Anytime I down someone in an area that someone else died. The nearest hook is impossible. They seriously did this intentionally? SO passive DS basically. Yup. They changed it in the most recent mid-chapter update. They had a dev stream showing how the hooks work now. It was REALLY bad in the few games I had on the ptb, but I think overrall it's kind if random. Rotten Fields can be bad for it. Groaning storehouse has one corner that only has one hook you can make it to, and to make matters worse the hatch often spawns there. But as you say once one hook is gone you can't make it to another. Naturally survivors once they become aware of this exploit the hell out of it like they do everything. So you can try to not create a deadzone but sometimes you can't actually make it to another hook anyway, and who wants to walk that far and risk taking a DS? Agitation and hangmans trick become mandatory perks. Just more to add to the list of perks needed that make killet playable. Oh and don't get me started on the game. I carried one to the hook last night and bam, DS. Get my second victim down and I cant make it to a single hook. It's so bad. I wondered why survivors were burning more game offerings recently and now I see why. Yeah I feel like it's gotten to the point where I have to slug them in the corner they know they're safe in and walk away. Hopefully they get dumb and I can down them again in a better spot but if not they bleed out on the floor. It's funny that the most broken perk, DS, got an unintended Buff. I'm seeing so many non obsession DS's too, kind of discourages me from playing killer entirely when I have to waste time in a chase just for even the non obsession DS user to get off my shoulder or someone to block the hook and then I've to start the chase all over again. Yeah this is BS now that you mentioned it. I do see more DS and people can easily coordinate to go somewhere that there isn't a hook. Wasn't this the original sabo problem way back? Before I played. So they passively buff DS and make it even more useful. Their way of making the useless hook offerings matter is by basically making it so the killer needs to use them just to have things the default way it used to be. In a normal match anywhere other than the newb ranks. Having someone wiggle loose even once is an epic fail and going to cause you problems. They actually want to encourage it happening MORE? See I'm not sure if the devs realized they basically buffed DS by making it easier to pull off. This goes against them saying it needs to be nerfed. So if you're reading this what is the solution? I think we need an emergency nerf. Only the obsession should have it so that killers aren't punished for walking a mile to a new hook under this new system. Or revert the hooks. Either way please stop tampering with them until the DS problem is fixed first. I'd also like to point out that the new hook spawns don't seem to talk walking distance into account. I used a hook on groaning storehouse for a sacrifice. Got a second survivor down in there later - because it's a hotspot, every survivor is going to run there. So I get them down but I can't make it to a new hook at all. There was one nearby within x meters of the hook that had been used, however your spawning algorithm didn't seem to take into account the fact that I had to walk right to get out of the building and then walk left to get to the hook. It only serms to count distance in a straight line. The actual walking distance was too far to get to the hook. The only time I've had issues with hooks being too far away is on the map "The Game". Even that is rare though. The Game (map) is broken right now. Some hook spawns are really bad. They said on one of the recent dev streams though that it will be getting its own algorithm eventually which will factor in the two floors. Hopefully it's the next update. Hopefully. Considering hooks could spawn 10 feet apart from eachother before this change Id rather them stay the way they are now. Plus, DS without being the obsession was actually useless (Because all the hooks were right next to eachother) and you shouldnt be forced into having a useless perk because of RNG. If people wanna bring DS, they should be allowed to because they used up 1 of their 4 perk slots for something that gives them 4s of escape time. DS isnt just an end-all do-all perk, its just annoying, not game breaking. In a ton of the rank 1 survivor matches I play I hardly ever see people bring DS anymore and even if they do, it hardly ever wins the game for them unless they save it til the gates are powered. Exactly! I think that killers should behave like every single survivor has DS and act accordingly. If killers are really torn up about the four seconds of stun and release time, maybe they should work harder to become better players. Funny that, I thought the sheer hilarious amount of hooks was like walking into a forest whose blades of grass where made of rakes. Every step you take that's 10 rakes to the face. Yes, 4 seconds. DS only ever buys you 4 seconds /sarcasm. I've seen people get looped for an extra few gens after using DS. It all depends on how good the player is and where DS is used. If can buy then time to make it to the next set of loops. The killer could break chase but at that poijt they've wasted so much time already and got absolutely no pressure out of it since no hook. Well the devs already admitted DS is OP so....no its not about becoming better players. And killers DO act like every survivor has DS. Thats half of the issue here. You can't risk walking to far off hooks to soread out the deadzone because the survivor might have DS and then you're denied a hook. "It all depends on how good the player is" It all depends on how good the killer is. Im a rank 1 survivor and I see people get [BAD WORD] destroyed on the daily by hella good killers even IF they do bring DS because like I said, all the good players at rank 1 are hardly ever even bringing DS. Your complaint to me seems more like a rank 10-20 thing which in all honesty this game should be balanced around rank 1 not 20. If youre struggling with getting looped by DS'ing survivors then try watching this video. Good players never deny the potential that DS has. Its why most of them will either target people other than the obsession when possible, and slug them if necessary. The biggest problem with it isn't the fact that the survivor escapes a hook, its the time they buy: Momentum is incredibly important to map pressure and time management, and each DS is basically free momentum for the survivors. The biggest takeaway in terms of handling DS feels like "avoid it unless you can take it without losing momentum." That video you posted is actually a great tutorial on how to minimize time loss on a few common loops, but none of them are instant unless the survivor messes up badly. That is why people say the survivor's skill is what determines how effective DS is: If the survivor is good, they can buy up to a few minutes easily vs most killers if they don't fail a mindgame (which is huge, especially with coordinated teams.) Fortunately, most DS users tend to be not great at the game, and rely on it as a crutch. Those players usually buy maybe 20 seconds before they get bodied again. @Ryuhi Very well said. 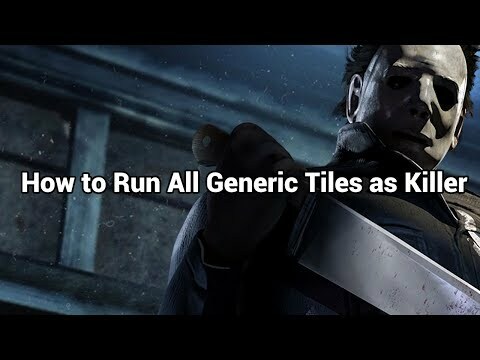 DS isn't as simple as the 4 seconds people make it out to be, it kills a killers momentum and pressure and that's extremely important especially at top ranks when gens go super fast. It's not as bad against Nurse although it can eat into pressure she has but it can be brutal against low tier killers - killers that rely on survivors to make mistakes, as DS is basically a get out of jail free card for when said survivor does make a mistake. Personally I don't get looped by DS for ages because I'm one of those people that ignores the obsession all game. Funnily enough I tend to win most games when I do this, and games I've lost in the past have been where I chased the obsession first. Can you do that then? Make a video as killer with no perks, no add ons and kill everyone? I'd be curious to see it. Truetalent tried to get to rank 1 like that and in the end he had to stop using all characters and stick to Nurse to accomplish it, and even then some games he struggled. It hasn't actually bothered me. I use the hook offerings as killer if I'm worried about that, and that's what they are there for—wasting less time when carrying a survivor. Anyway, to your point, wiggling off shouldn't really be a thing unless the killer's carrying the survivor all the way across the map or to the basement. And certainly not only a recent thing. You need to slugg now. Last big patch, yes its insane. I've had a couple of games where even before a sacrifice there was no way to make it to the hook. Starting to only pick my killers that have perk/offering mori potential and play like the hooks aren't there, way more fun. It's 4 seconds of stun time, not chase time. That means that in the 4 seconds that a survivor stuns you without counting any form of an exhaustion or speedboost related perk, that survivor is going to make about 16 meters in distance before the killer can move again. Keep in mind that most killers (not counting Legion, Nurse, Huntress, Spirit and Hag) are 115% movement speed which means they move 0.6 meters per second faster than survivors. To make up the distance gained without enduring, it will take you around 3.47 seconds to make it to where the survivor was ontop of that in which case you're spending roughly another 3 seconds to catch up right behind them meaning that in total decisive strike will cost you somewhere around 11 seconds in total in the best possible case scenario without enduring, if that survivor makes it to another loop then that's an entirely different story especially if that survivor has any form of a brain at all. Now, add non-obsession DS to that and you get a whole lot more time wasted than that, which you won't know for fact that the said survivor will have non-obsession DS unless you played with them before. Any good survivor is going to make the most out of those "4 seconds" and any killer, including good ones are just going to get annoyed whether or not it's a quick down afterwords or not. Some killers of course are better equipped to handle DS thanks to their powers but it does not change the fact that DS like NOED rewards failure and punishes players who won. I for instance do not mind that there is a perk that can stun the killer for a short period of time, what I do mind is that there is a perk designed for bad players who can't play the game and get rewarded for their own misplay, the same can be said about NOED as those perks play the game for you. Now, enduring is a totally different story as it is nice to get the reduced stun but it still does not change the annoyance DS brings to the game. Sure you can wait at a high area and a survivor can just fall but that itself can be negated with balanced landing and that survivor was just dumb to go down at a hill to begin with and dribbling, well that isn't really going to happen so much with the hook changes but if it does then you're still wasting a lot of time and making a risky move. I know I'll also probably hear something about slugging too, but that then I'd have to argue that you shouldn't have to lose your well earned hook points (and emblem) just because of a perk. It's why I like deliverance as a perk because although it lets the survivor go, you don't lose progress you made towards the game as the killer. That being said, I do at least see the potential behind the new hook spawn generation and I think it's an important thing they have changed as of this moment because even if it's flawed now, we should wait to see if any improvements come to the numbers.